Mix the pancake batter according to the instructions on the bisquick package. Add the sugar and mix well. Mix the bean paste with the vanilla ice cream and return to freezer to harden. 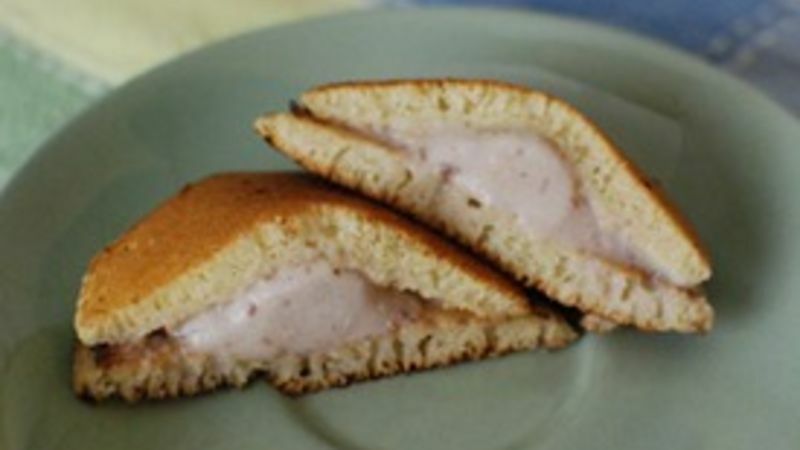 Make mini pancakes in a frying pan, and stuff with the bean paste ice cream.